Hallway leading to the exhibit. 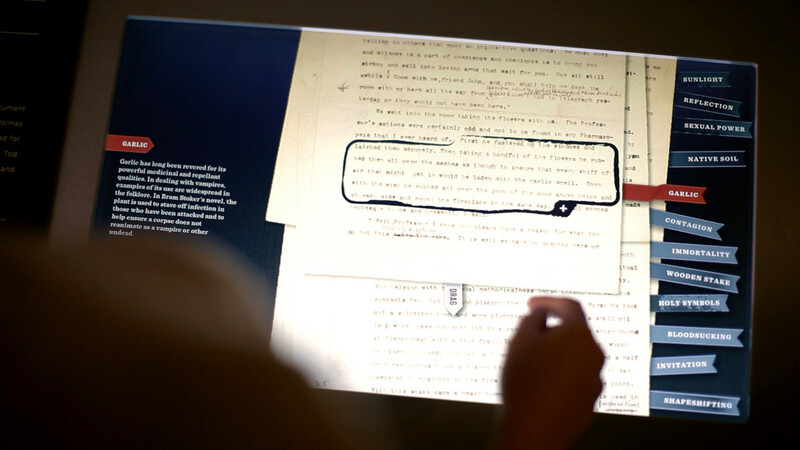 Key pages and passages from the original Stoker manuscript are shown and link to video content relating to the passage. After choosing a category, users can view related video clips. 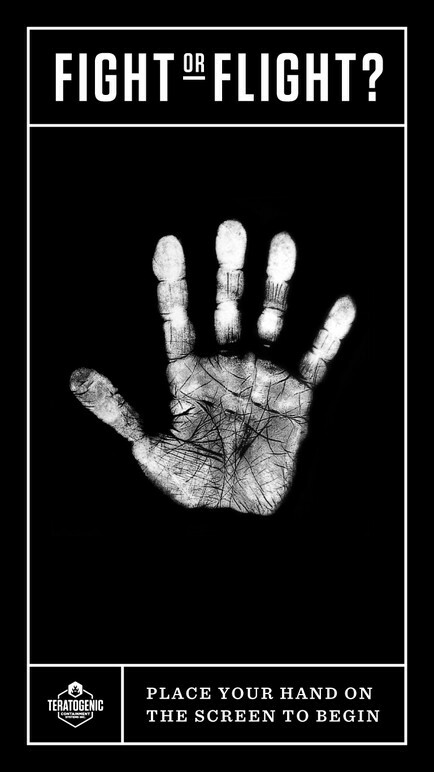 Music of horror interactive. 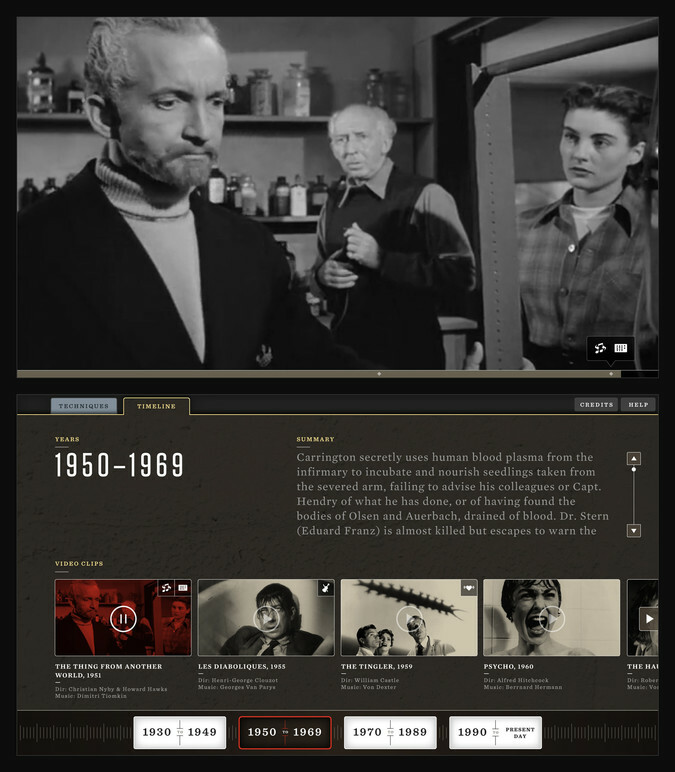 Users can choose movie clips and see how different music devices are used in popular horror films. Music of horror interactive screen. 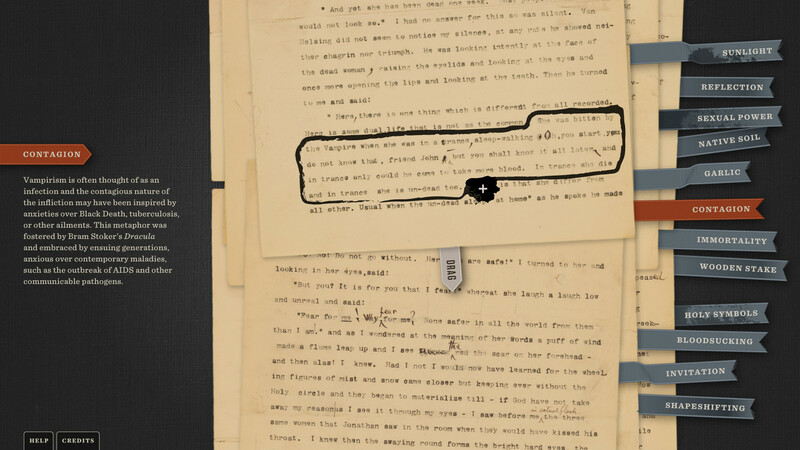 Clips can be played by pressing on the images. 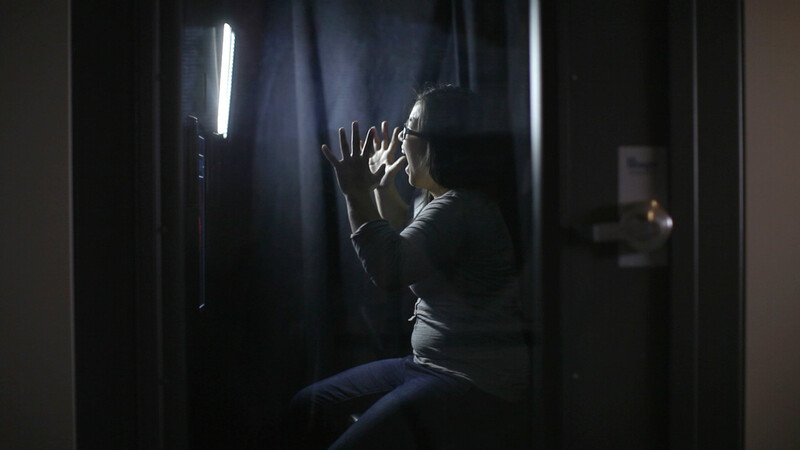 Screaming in the scream booth. 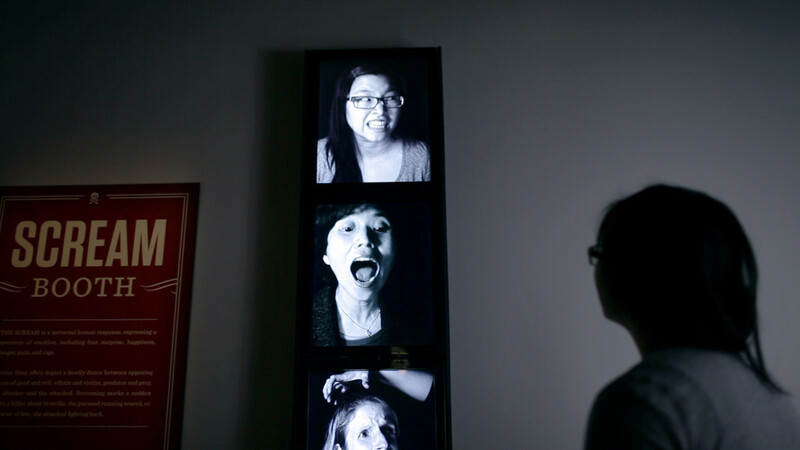 People can choose their best scream face. 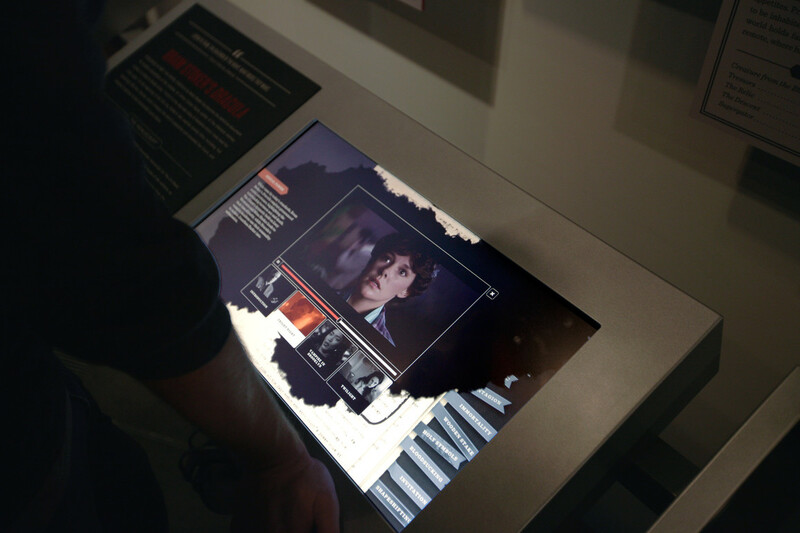 Once a scream is captured, they are shown in the screens outside of the booth. 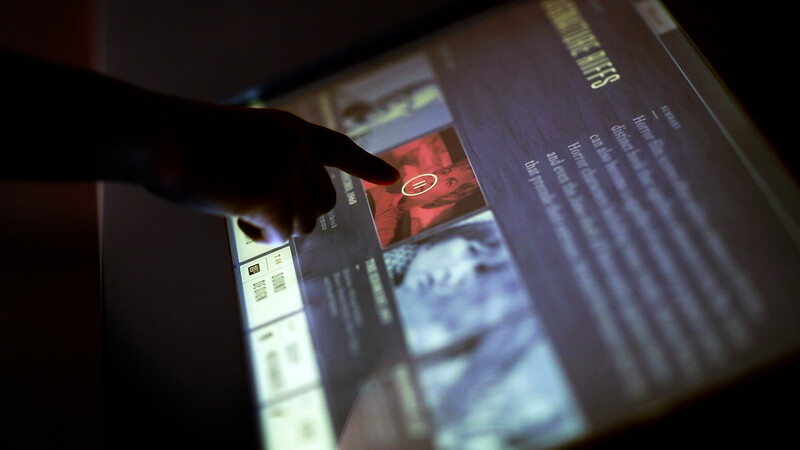 In collaboration with EMP Museum and exhibition designer Ken Burns (Wonder Mine), Belle & Wissell designed and developed a series of interactives for the exhibition with a wide range of focus. 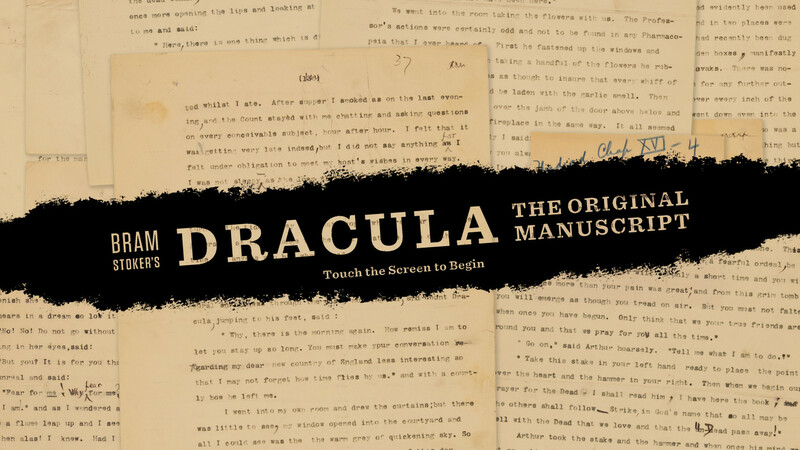 The first offers a unique look at Bram Stoker’s original Dracula manuscript. 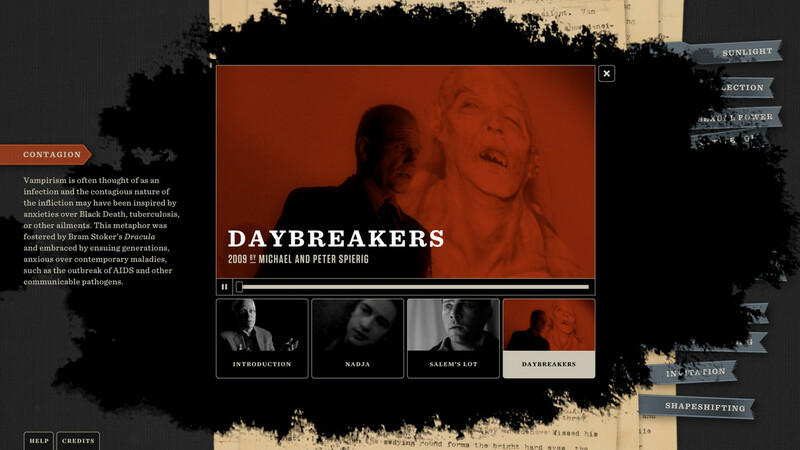 Users can manipulate pages from the manuscript and through highlighted passages in the text; explore recurring themes in the horror genre through videos of related films, old and new. 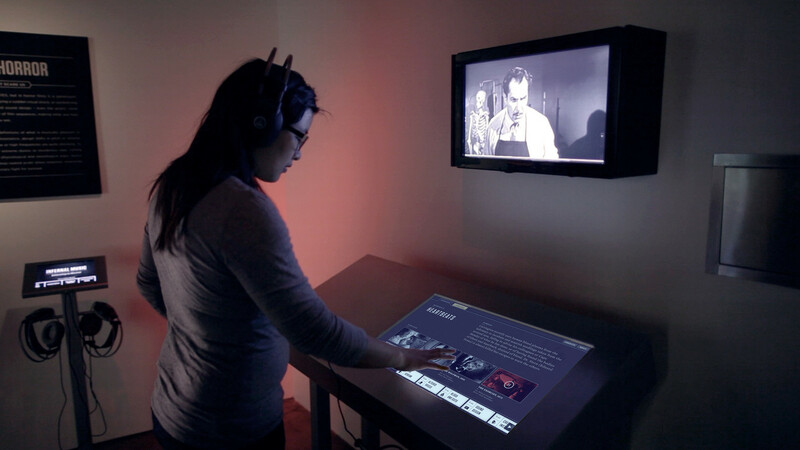 The next interactive experience focused on music and soundmaking and teaches users not only how these sounds are made, but shows examples of their usage from many great films from the genre. 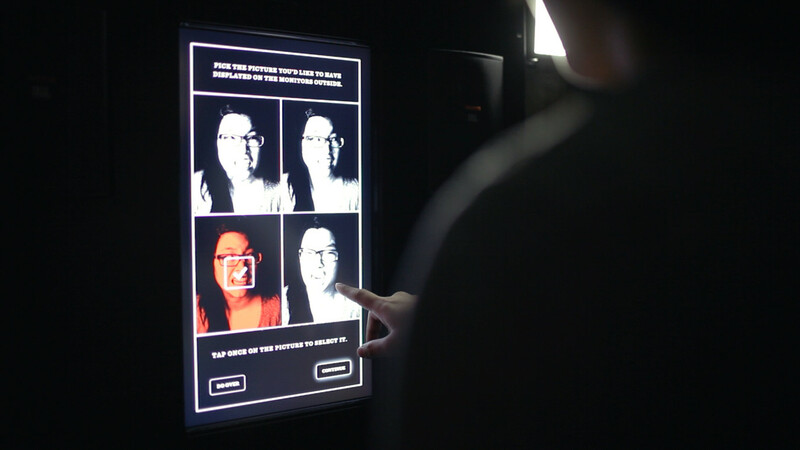 The final interactive experience invites users to put themselves in character; they are scanned and assigned the role of either the Villain or Victim. They’re guided through a narrated “preparation” and then at the top of their lungs, they scream! 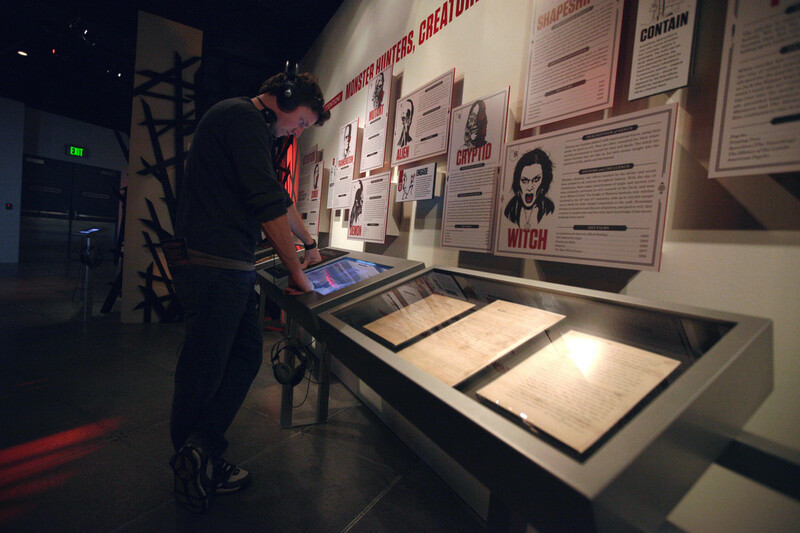 Their photo is captured and then displayed in the gallery and shared to EMP Museum’s flickr feed.